We’re Perth’s Leading Car Removal Company. Proudly Offering The Best Service & Cash For Your Car! We’ve Got Your Vehicle Covered. If It’s In Perth We’ll Collect It Immediately & Give Cash On The Spot. Just because your vehicle doesn’t work anymore doesn’t mean you can’t do anything else with it. Turn your broken down, damaged or even just outdated vehicle into cash quickly and easily. We give you a great way to turn your ride into the cash you need with top cash quote offers. We also provide vehicle removal completely free. Full service, fast cash and your total satisfaction guaranteed. Contact us today to request a quote, book a pick up or get more information for your area. 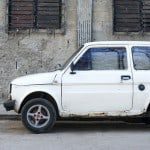 If you have an old car sitting in your drive or on the roadside, you do not have to let it cost you more money than it already has. Is your car rusted out or a bit on the burned side? That does not mean that it has no use. You could make easy cash! We can offer you best possible car recycling service in Perth with seamless same day car removal and top dollar paid. We’ll Collect any make and model car, 4×4, SUV, Truck & even Buses. Contact Us Today to see how much you could make. Instant cash for your unwanted or old cars. Call us now to see what your old vehicle is worth. 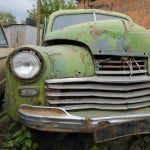 Max Car Removal And Cash For Cars PERTH – one of Perth’s leading used car and scrap car removal company. Our service is available at times convenient to you and we will happily collect your vehicle from anywhere in Perth, Mandura, Rockingham or anywhere in WA. If your car is damaged, accident, old, unwanted or looking to Scrap your car then Max Car Removals can pay top cash for cars. By selling your car to us, you could have payment in your hand on the spot; in fact, we’ve even managed to go from quote to collection in less than 4 hours! Whether your car is a mini or a Rolls Royce…if you want to sell or scrap your car today, call us at Max Car Removals Removal and we’ll be there to help! Our values are calculated to reflect the current market for used cars. Our polite & courteous staff can arrange a prompt and reliable collection at a time that suits you, and with our many years of experience in the industry, we can answer any questions you may have. Over the past month alone we have removed and paid cash for more than 700 cars all over Perth. Max Car Removals Removal is your solution to sell your used car of any make & condition. We are the leading used & scrap car buyer in Perth; that doesn’t make you wait around for a buyer. 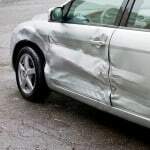 We are licenced used auto traders & wreckers that both resell and recycle vehicles of any make, model, age and condition. For a quick cash sale, contact us at the number below. There is always the opportunity to sell your car at Max Car Removals Removal. We are Perth’s convenient way for sellers to sell their vehicle. We don’t question its value; we only ask for the details so that we can make an offer that is your vehicle’s value. 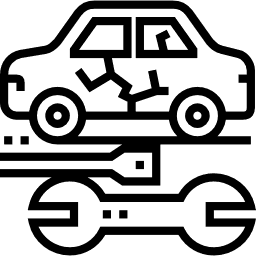 We are a car removal company that within four hours or less from the time of our cash for used cars quote on your vehicle. Our sell used cars system is one that is fast and convenient. Whether you have a scrapper or a Rolls Royce, just give us a call for a cash offer today. We’ll be there with the cash in our hands to purchase your vehicle. When you sell your used vehicle to Max Car Removals Removal Perth, you sell your vehicle to an expert. Aside from outstanding services, our staff is one that is polite & courteous, and always helpful. We are the car buyer that has the cash buying power to make you a great deal on your unwanted car. 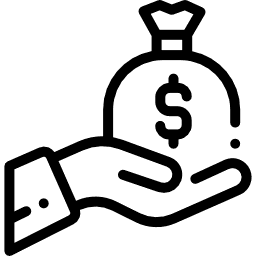 Whether a wrecked Toyota, used Ford, accident Nissan, scrap Subaru, salvaged BMW, fire Proton, flooded Kia, rusted out Suzuki, damaged Hyundai, or something else, we’ll make you a cash offer. SELL USED CARS TO MAX CAR REMOVALS REMOVAL TODAY! If you live or work in Perth, or just passing through, you can get your unwanted car sold today. Our business is buying and removing vehicles at the convenience of our customers. Our car appraisers will make a cash offer on your vehicle over the phone, or through our web page, so you know if you are interested in selling the vehicle to us before we come to inspect it. By completing our “Get a Quote” form located at the bottom of this page. 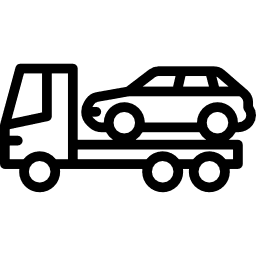 Max Car Removals removal and cash for cars Perth specialise in buying cars and our business has grown over the years as result of the professional and hassle free service we provide to our customers. We arrange cash payment for your car, collect from your chosen location and make the process as easy and simple as possible. We guarantee that payment for your car will be made to you on the spot before we drive it away and we’re happy to offer a variety of payment methods including cash, secure bank transfer, banker’s draft and company cheque the choice is yours. HOW TO SELL YOUR SCRAP CAR- TRUCK-VAN- 4WD-UTE? We remove all Japanese, European, Korean, Malaysian Brands. Some of the brands include Toyota, Nissan, Isuzu, Ford, Holden, Subaru etc for the complete list of car brands we buy visit Cars Guide. Note: We don’t sell parts we do only remove unwanted cars. Cash for Cars is only a phone call away. Max Car Removal will buy your car, truck, SUV, van, 4×4, bus, or motorcycle within 24 hours. Get a quote from us over the phone or via online. Max Car Removal is the Cash for Cars company in Western Australia with the power and experience to provide our customers with exceptional prices for their cars. We also provide exceptional service. Need a quote on your vehicle. Get in touch today. We stand by our work 100% and offer a full service guarantee. We will happily beat any written quote.